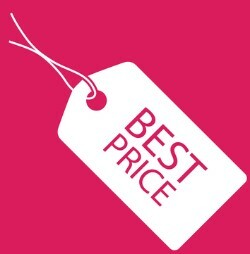 What is the Best Pricing Strategy for Your Business? Smart business owners are always looking for ways to increase their business profits as they analyze their income statements. One area businesses can focus on to increase profits is in pricing strategy. Pricing is one of four levers that impact the quality of your profits. (The other strategies include direct cost control, indirect overhead cost control and volume). In a competitive marketplace, businesses should routinely review their pricing strategies to maintain an edge and stay profitable. “In addition to managing costs, our clients are continuously looking for better and smarter ways to set the optimal price so as to harvest that untapped profit while staying very competitive and maintaining a good position on market share,” says Phil Farris, Pricing Product Line Manager for Servigistics, which offers pricing software applications as part of their Service Lifecycle Management. Small increases in pricing, even 1%, can also make a difference in the income statement. If you are holding your prices steady over an extended period of time, then you are actually giving a price break, because inflation erodes your purchasing power. For example, if you sell a widget for $5.00 and it cost $3.00 then you make a profit of $2.00. However, if inflation is 3% and you don’t change your price for the next three years then your cost is $3.28 and your profit is now only $1.72. High or Low? Which Way to Go? A business has to make a fundamental choice: will it price at the higher end or the lower end? Of course, the best of both worlds is higher prices and higher volumes. Understanding the price sensitivity in your market is important in order to get your product or service into your client’s shopping cart. Attracting customers and increasing value of a product or service to make the business stand out from the competition should be a priority. “In the current economy, what I’ve seen in pricing is that many manufactures have held their prices, but added value; for example, buy one, get one free,” says Iverson. Pricing responses to market and income pressures differ from business to business. Yet, conscious business owners should consider the role price is playing in their income statements and develop both short-term and long-term strategies. Pricing is just one lever that moves your bottom line. Pricing strategies should be flexible enough to respond to real time economic issues. We will discuss in future issues the other levers driving your bottom line: direct cost control, indirect overhead cost control, and volume. Remember, pricing is the gateway to getting your product or service into your clients’ hands. Pricing responses to market and income pressures differ from business to business. Yet, conscious business owners should consider the role price is playing in their income statements and develop both short term and long-term strategies.